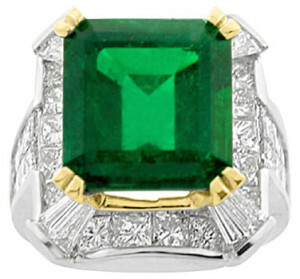 This massive emerald and diamond ring will stun your visual senses as its colorful appeal further delights you. A breathtaking, genuine emerald with a highly impressive weight of 10.60 carats starts off the design. This emerald has a gorgeous and rich color hue that is rare to find, while natural inclusions, present in all emeralds accents its unique character. Enhancing the four corners of the emerald are glittering baguette cut diamonds while princess cut diamonds surrounds the rest of the emerald and spills down the shank of the ring into an invisible setting. The baguettes have a total weight of .86 carats and the princess cut diamonds total 4.00 carats. These diamonds range in clarity from Vs2-Si1 with a color grade ranging from H-I. 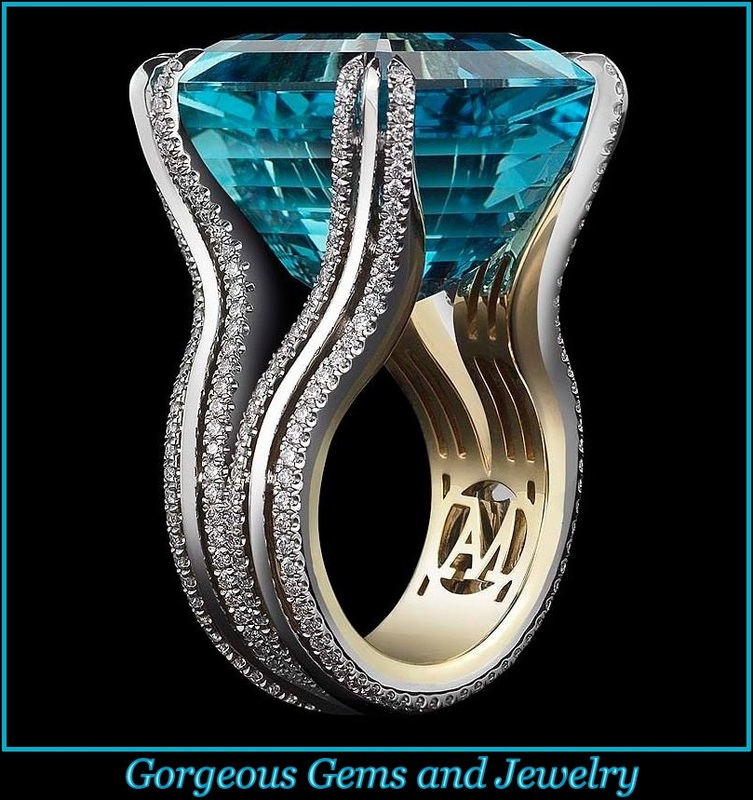 This exquisitely crafted ring is made of 14kt. white gold accented by yellow gold with a total metal weight of 22.00 grams.